Dozens of farmworkers with the Coalition of Immokalee Workers and consumer allies from across the country will begin a five-day Freedom Fast on the morning of Sunday, March 11 to demand an end to sexual violence in the fields. They will be stationed around the clock outside Trian Partners, the hedge fund offices of Wendy's Board Chair Nelson Peltz, at 280 Park Avenue in Manhattan. Learn more about why we're fasting. Supporters are encouraged to join them on site throughout the week (see schedule of events below). 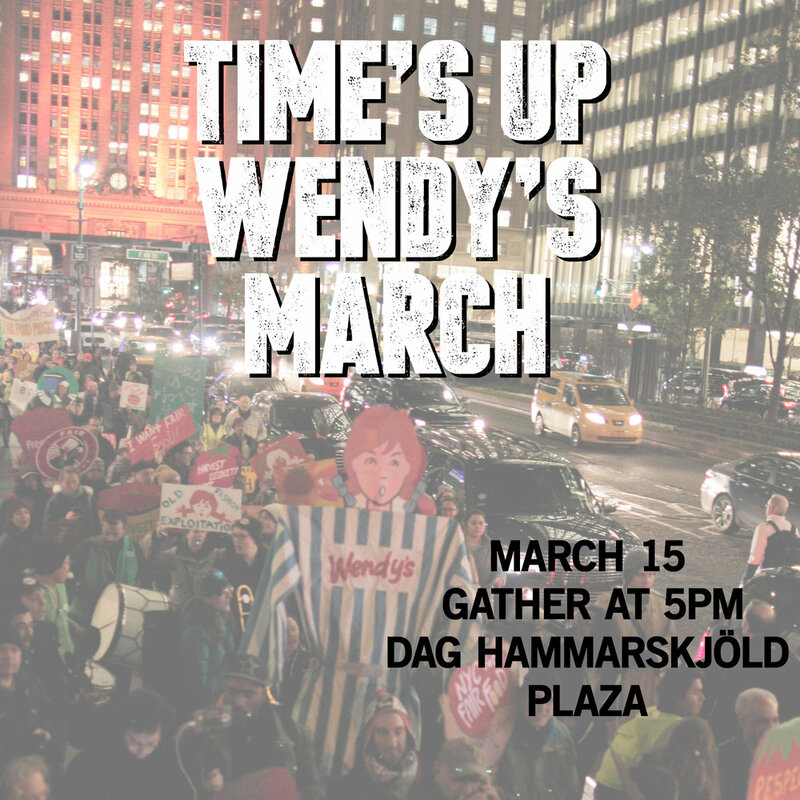 If you are unable to stop by or join the culminating Time's Up Wendy's March on March 15, please consider sending along a message of solidarity for the fasters to organize@allianceforfairfood.org. These messages will be read on site each afternoon during the fast. Check out national caravans making their way to New York City for the Time's Up Wendy's March!